Dual Violet Colour Lenses, as the name suggests, feature a dual-layer colour pigment, instantly making your eyes look bigger and more attractive. These lenses provide more colour definition and deeper contrast than standard single-colour lenses. 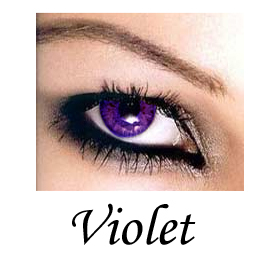 These purple violet lenses are suited to those wanting a more vibrant, richer colour change.